Planning consultancy Turley and the Belfast Harbour Commissioners have secured outline planning permission for a new development in Belfast’s Harbour Estate. 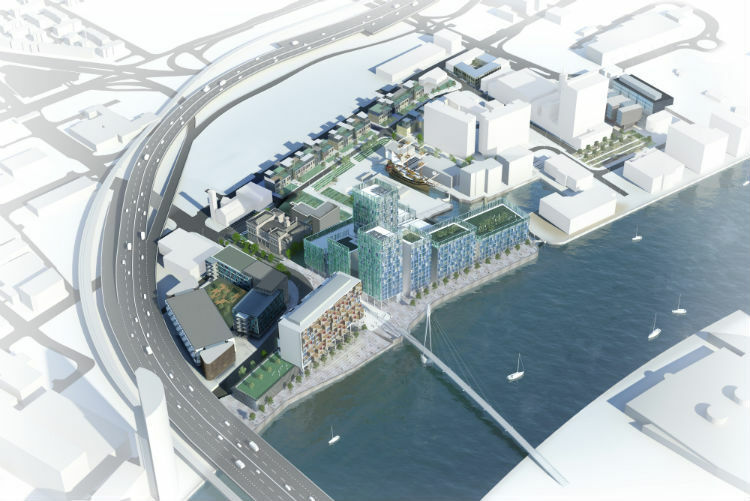 The masterplan for the site known as City Quays will see the redevelopment of 20 acres of former port land on Belfast’s waterfront. The outline permission, announced by Northern Ireland’s Environment Minister Mark H Durkan on 9 June, will pave the way for a major waterside development blending commercial office, residential, retail and leisure space. The development forms an extension to the highly successful, maritime heritage rich Clarendon Dock and provides improved linkages to the City Centre. The City Quays masterplan includes 120 residential units, 1,003 sq m of café and restaurant space, 75,730 sq m of commercial office space, 950 sq m of small scale retail and retail services space, a 17,850 sq m hotel, a multi storey car park and open space throughout the site. “City Quays is an extension of the highly successful Clarendon Dock development. 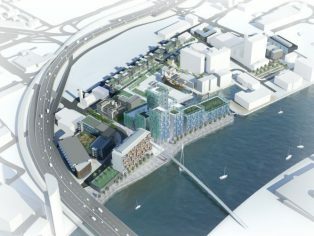 The development will regenerate a significant section of Belfast’s waterfront and help reconnect the river frontage to the city centre. Turley in Belfast has played a major role in the regeneration of Belfast waterfront. The team has previously secured permission for a number of redevelopment projects in the locality.